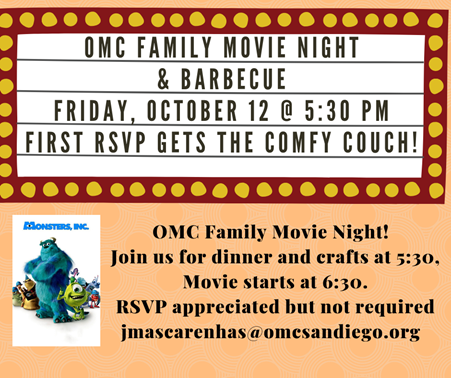 Please join us for a Family Night at OMC! 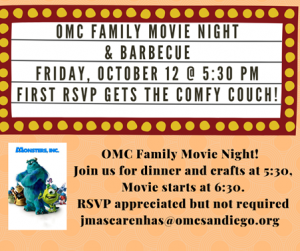 Movie will be Monsters, Inc.
Serra Hall (Parish Hall. Take ramp or elevator from the parking lot to below the church. Please enjoy the friendship, fellowship, and fun!